While technically this will be 201st post, I am still happy to annouce that I have made it to 200 posts on this blog since starting the blog back in Feb 2009. Thanks everyone who have been supporting me and those who have been kind enough to leave comments when they have found a post to be helpful. These comments give me the encouragement to keep this going. Thanks again. Here's a link to the first post where it all started. 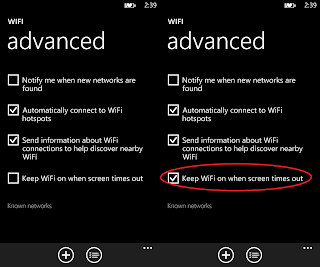 I have noticed one several occasions that my Windows phone wont be connected to wifi until I start using my phone. This is actually really annoying seeing as though there are constant updates and push notifications. Well there is little switch that you NEED to know about. 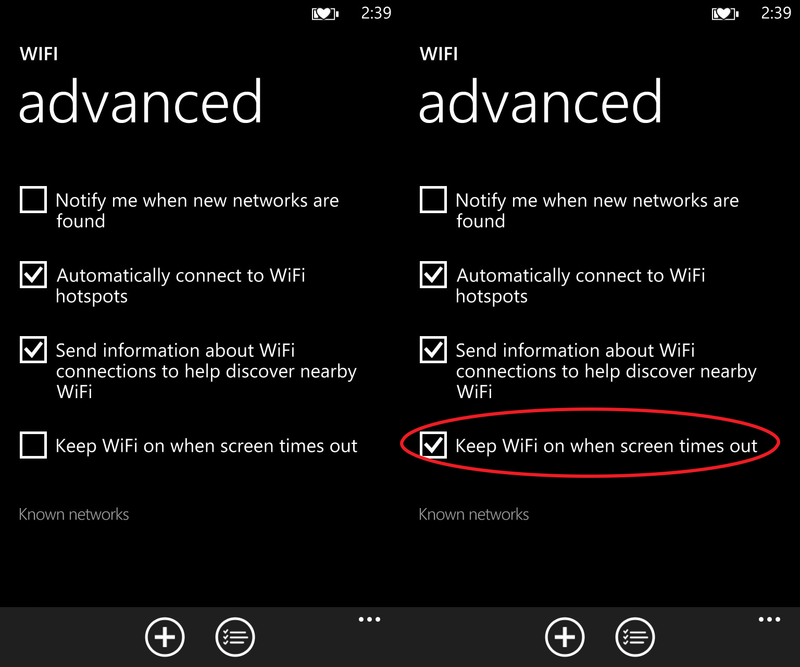 You need to enable 'Keep WiFi on when screen times out'! Why this feature is not on by default, but without it you will find that you are using up your phones data cap a whole lot quicker. Now your phone will remain connected to your wireless network when your phone is on standby. I have also found that this option will reset after major (and other) software updates. So keep an eye on this after some system updates. It really actually annoys me that this is a thing. With most people experiencing issues like "Bill Shock" and the first iteration of Windows Phone 7 having excessive data usage issues, you would think Microsoft would force the phones to use Wifi first and where available. The tech blog has continued to grow recently with the tips and help posts getting a lot of attention for other users looking for the same solutions, so I though it was time for a new, fresh look. I have moved the site away from the dark look and gave it a brighter colour scheme. I have also rearranged the items on the panel and the Pages are now more accessible with a tabs bar across the top. I would love to hear you feedback on the look and let me know of any more changes that would help the site. I am keeping the ads on their for the time being but donations would be appreciated. Yes, this is a thing. Some people that are making their first steps from the Windows world to Linux often ask and install antivirus software on to their setup without knowing that this is often pointless and a waste of their system resources. There are many factors that help prevent malicious software running on a Linux system that make running a antivirus package useless. First, because there are so many different distributions of linux that have different structures to the core of the operating system, it is near impossible for a coder to target a large enough audience. While, for example, Ubuntu is growing, even Ubuntu has so many variations that seperate it in layers that make it impossible for crackers to develop for. Secondly, the structure of the multi-user environment require that privileged users are the only users to have access to core software and kernel space. And for this privilege to be grant to just any software in Linux is rare. With the popularity of some distributions Linux growing, the concept of an app store or Software marketplace is a must. These online sotres means that software is checked and published ensuring that the software is safe for use and not harmful, keeping the end user from accidently install malicious software. Last, this article by blogger HTG explains further why Antivirus on Linux is not entire necessary. If you have any thoughts or questions on this topic, please leave a comment below. I like to experiment and play with server systems in my time off so I can learn new things and it give me a good way to try something without the fear of it affecting anything important. So when creating multiple Windows Server virtual machines, I am always looking for an easy way to do this. However one thing that is important when duplicating a Windows virtual machine, it is important that the SID on the Windows system is different. Especially if those cloned VMs will be appearing on the same virtual network. (For more information on the SID, see here). Also in the OEM world, the SysPrep utility is used to prepare a computer to be resold or to otherwise return the system to a state as though it is out of the box. Luckily both these tasks can be achieved with the same utility. 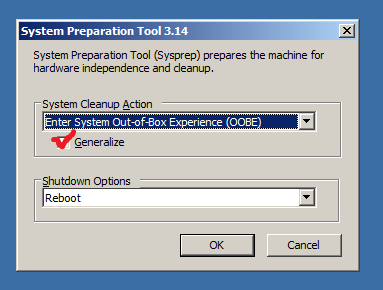 This is the best way to natively generate a new SID on the Windows Server, is to run the SysPrep utility. Prepare your system with drivers and software as desired. On this screen, just select the Generalize option, then click OK. The system will then reboot and prepare the system. This will have you reset the Regional settings and restate the EULA, but that is standard. When completed the computer will boot as normal and will present you the login screen. Windows Server 2008 R2 will have you set the Administrator password for the "first time". Seeing as though it is now considered a new computer. And now you are complete. The system will have a new SID and will be ready to use. If you found the useful, please leave a comment below and even consider leaving a donation. This little fault puzzled me today. I found that I was unable to click and drag any icons within the Windows Explorer windows. It was very frustrating to say the least. But you will never guess what solved it for me. 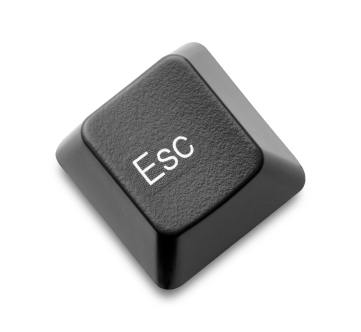 Solution: Hit the 'ESC' key. That's right. Simply hitting the escape key on my keyboard return the click'n'drag function. Reading around some forums from people experiencing the same thing, speculation is some utilities may expectantly lock this function and hitting the escape button releases the lock. In order for you to clean up your server from system files and update files, you need to run the Disk Cleanup utility to safely remove these files. Unfortunately, this is not installed by default. This article shows you how to install this option for you to get the utility. CAUTION: A reboot will be required for this install. This will install the feature and more. By default tools like Disk Cleanup is not installed. So in order to clear up issue like the WinSxS directory filling up, you will need to install the utility. CAUTION: Reboot is required to complete installation. In the wizard, find and select the Desktop Experience option. Click Next and install the option. Once installed, reboot the system to complete the installation. Since the beginning of Windows 8, the Linux community has been up in arms about the Secure Boot feature of Windows 8 and that it was an effort of Microsoft attempting to block out Linux from PCs. So I thought I would build a VM and test if this was in all cases or just on new PCs. I prefer to use Ubuntu 12.04 LTE for a lot my Linux work as it the long term supported version and still relevant despite there being newer versions. Makes it easier for me... but anyway. So I have configured up a virtual machine and have install Windows 8. Basic build and simple account (no Microsoft account used). Once happy with the Windows side, I connected up a Ubuntu ISO and rebooted. I have kicked off the install and it has detect that there is a Windows 8 installation (yes, Windows 8) and if I would like to split the disc. I have created the VM with a small 20GB hard drive, so I have split it two ways, 50/50. I continued with the install as usual. Cool side note: Ubuntu is smart enough to detect the Documents and Settings you have in Windows and offer to replicate them in the Ubuntu environment, saving you manually doing it later. So once the install finished I had to reboot the computer as normal, and was eventually presented with the GRUB boot window. After booting to Ubuntu and confirming a successful installation, I rebooted and selected the Windows 8 option. And it booted! While this does not necessarily disprove there is a problem, this does prove that it can be done. Windows 8 has not completely killed off Linux, or even Linux and Windows operating on the same system. Secure Boot on UEFI based system may experience issues, especially on OEM systems from companies like HP and Lenovo may have issues, but this does not spell the end. If this article helped you or otherwise, please leave a comment below. Who is Google anymore? They have changed so much I really don't see the company I used to like. What happened to the friendly "We're on your side?" type of company I grew up with? And what are they doing to their own products? When I was in high school, I was one of the few between to get a Gmail invite. It was a big thing too. There was high value to a Gmail invite. Only certain people could give them out, and they only had a finite amount of invites. 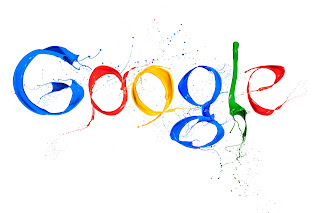 Also, that was around the same time I discovered (and fell in love with) Google Labs. Their little corner of the internet were experiments and software demos were shown off and discussed. It was fun and dynamic. There browser was a no-brainer for me being embedded into their ecosystem later down the track and after getting my first Android (Samsung Galaxy S). So what's different now? Well everything. Currently the Google Graveyard stands with lots of flowers from users paying respects their favorite and often frequently used products. Their recent causality; Google Reader. The decisions to closed down Google Reader came to as a shock to me and a lot of other in the community as it is a useful tool. A central web-based site to keep up to date with your favorite websites through a single page using RSS. I used it for many years to keep up with my tech sites and found the go to place for news and other sites. Google claims that a drop in user activity is the reason behind the decision to close the project. Really? Is it that low in usage that its not worth the server space? You're Google. You could just run this on a server in the basement and no-one would care. This tombstone sure suggests that it has somewhat of a significant fan base. When Google release their own web browser, it was a welcomed competitor to the web browser market. At the time, it was a fight between Microsoft's Internet Explorer and Mozilla's Firefox. Although Firefox was popular, IE still had a market. However today, things could be more-or-less split three ways and no-one complains. However on a technical level, people welcome the browser as it was based on the Webkit rendering engine. Webkit is famous for it support for industry standards in web markups and languages. It was fast and also used by Apple's Safari browser. And while using the engine, Google has contributed development back to the engine to improve it's capabilities not just for Chrome, but for all browsers using the engine. However recently, Google has announced that they would be making their own engine based on Webkit. They claim that using Webkit is restricting their development and building their own engine would allow them to redesign the engine to perform certain functions as separate processes, speeding up the loading process. But no only are the making their own, but splitting it two ways, open-source version and Google version. Because there just isn't enough fragmentation in this digital world enough already. The free email service that everyone loves. Kind of. It was revolutionary when it was announced. Most people in the industry (even myself) thought it was joke as Google announced this project and released it on April 1st, none other than April Fools Day. But it turns out, it was actually real. Who woulda thunk it?! The revolutionary part about the service was that fact it was the first service to offer 1GB of free online storage. 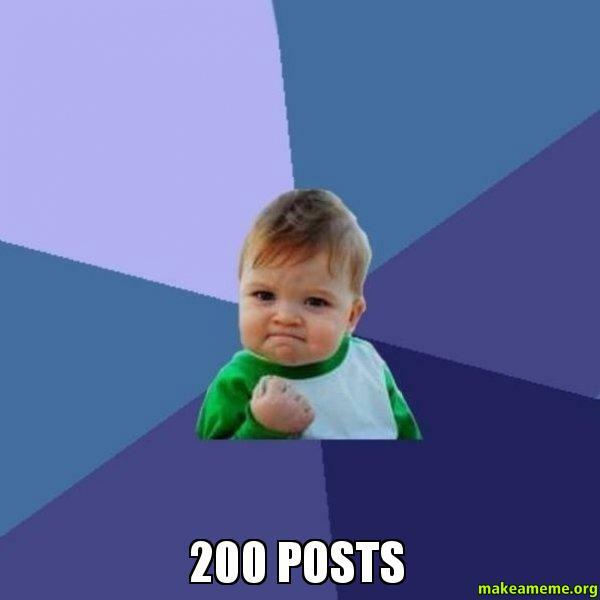 And it continues to climb to this day. This amount was unheard of. Microsoft's Hotmail and Yahoo! Mail only offer mere tens of megabytes. But it got better from there. They introduced Microsoft Exchange as a way to synchronize your mobile devices (phones, tablets and even computers) to the service for free. Only businesses really ever saw the light of a Microsoft Exchange server. But to have it on a free webmail account was awesome. And I love it. Fully sync mail, calendars, and contacts in a sync wizard. Awesome. However we are now going backwards. Recently Google announced that they would no longer offer Exchange to free Gmail accounts but would continue to the services for their paid business services. Well that was a bummer. But it got worse. While everyone was moving their settings from Exchange to IMAP, there was the question over syncing Calendars and Contacts. Well that was solved with using open technologies like CalDAV and CardDav for contact sync. Ok fine. But that didn't last long. Google have now decided to develop and use their own proprietary Google Calendar API to sync calendars (not sure about contacts at this point). What? That's right. Google chose to develop their own way instead of embracing a open standard supported by lists of hardware and software. Microsoft even update their Windows Phone to allow CalDAV. But just as that update arrived, so was Google decision to not use it. While Microsoft Exchange is proprietary, it was recognized by everyone. Google Android, Apple iOS and Blackberry had no issues connecting to a Exchange server. And it connected Mail, Contacts and Calendars in one hit. It was obviously the licensing cost that was too much for them. So what do you from here? Can you really trust this company with it's products? I have had this long skeptism in Google. You could invest you time and efforts into a single product and next day, they could decide they're no longer interested and you would be on the hunt for a replacement before losing all your data. It’s a nervous time, but you can't blame them. They're growing at an enormous rate and none much more than the fun little company. They are an software enterprise. Android being a huge hit. Search advertising raking in the dollars. It would be nice to see some stability in their products some times. Google ditching Webkit for their own version of webkit but still open source? Recently I opted-in for the new redesign of the Facebook homepage to see how much they would change, and they have changed everything. And I love it. Update 3 (13-Apr-2014): A lot of people in the comments noted a recent issue with the software prompting for both Evernote and LinkedIn passwords unnecessarily. I won't be updating this post any further due to it's age and no longer recommending the conversion software. Update 2: Microsoft have released a native client for Mac OS X. Also OneNote for Windows is detached from the Office suite and available for free. Update: A lot of people had issues with this post in that it either they had issues or it did work at all. Problem here is that newer versions of OneNote may have issues with this process. There may be other issues that I am unable to test for. When doing this guide, keep in mind that it will attempt to export to a new OneNote file. Each notebook in Evernote will become a new OneNote file. Some manual processes may be required here. Other than that, if you have any issues, please let me know below. 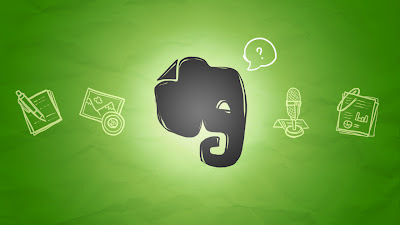 I have been using Evernote for about a year now and I can honestly say that it has been one of the truly useful tools and cloud solutions on the internet. This single point location to store simple yet important information has grown from a single page of notes, to a expansive array of notes and notebooks. And I mean that in good way. At the same time, Microsoft have had a long running note taking solution called OneNote as part of the Office suite. And not many people know that this is also in many ways, just as free to use as EverNote. Microsoft now provide their own Importer tool for migrating your data from EverNote to OneNote. So first up let me show you easiest method to move from EverNote to OneNote. Download Ever2One Converter - as mentioned in Update 3, I am no longer recommending this software. This software will turn each EverNote notebook into a single OneNote file, however OneNote software is smart enough to treat this as a single collection of notebook, not lots of individual ones. This will be done to personal preference. On the base level, both software packages do wonderful jobs and doing the basics well is a strong point. Evernote does keep it simple while OneNote does have advanced options which will benefit others. Mum and Dad, stick to EverNote. Keeping recipes and other important notes, Evernote will not let you down. If you are techie or student (for example), OneNote will handle screenshots, equations snips and other more advanced notes than just the basic text much better. If you have some further insight into this, please feel free to leave a comment. If you found this blog useful, consider leaving a donation. I don't have a lot of experience with the Citrix virtual environment but have to use it from time to time at work. I came across this situation today and thought I would share this link. You may have a monitoring system link Spiceworks or N-able (which is what I use) that has just reported that you have a failed HDD. You go to call HP Support and they ask for confirmation via a HP utility. For me, somehow Intergrated Lights Out was never configured (before my time) so no confirmation there. We need to install the HP utilities. However you cannot use the Windows version of the tools as the windows server will be virtualized and won't be able to communicate with the hardware via hypervisor. You need to go straight from the source. This article explains how to download and install the HP utilities directly on to the XenCenter server or the hypervisor, giving the direct access to the array controller that you need to get the information that HP Support is looking for. Linux knowledge will be needed. I have come across this twice at work now and thought it would be worth the share for those running Windows networks. When running a Windows Server 2008 (or R2) Domain network, you may have a group policy for your users pushing out mapped drive configurations. However on Windows 8, these policies do not apply. To fix this, open your policies and modify the mapped drive object. 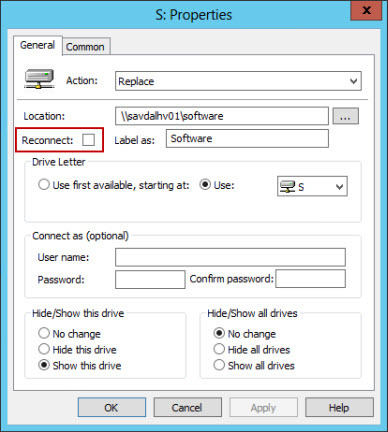 Uncheck the Reconnect option, and this will now allow you Windows 8 clients to map the drives with your policies. Also note that this change, from my testing, won't affect your existing Windows 7 (or older) clients. These clients will continue to map the drives specified.